A bitcoin and its associated blockchain is the Invention of an elusive developer called Satoshi Nakamoto who wrote a white paper and then created reference implementation shortly after the start of the Global financial crisis in 2007- 2008. The group of cryptographers he was part of is attributed to solving the double spend problem with digital currency by using a Blockchain database and solving the flaws of inflationary government issued fiat currency. Satoshi Nakamoto is believed to be a sudo name and the real inventor of Bitcoin has never revealed himself. Some of us who are involved in this space have recently contemplated to ourselves, why is the bitcoin price so volatile. As of this month December 2017 the Bitcoin price has fallen back from an all-time high of 20k per Bitcoin. That in itself is astonishing, and I have already quietly accepted the lost opportunity I made to liquidate the small portfolio I collected whilst mining Litecoin. But what are the factors governing the dramatic surge in price. I have always questioned Bitcoin 21 million coin distribution cap. If you truly wanted Bitcoin to be in everyday use why would you choose such a small coin distribution, bearing in mind there are 8 billion people on the planet earth. I can see how it would cause scarcity and have many speculators clambering over each other to secure the best position. But for most of us average folk using it to make purchases over the internet for goods and services I must say it has become cumbersome to be constantly checking the converted fiat currency price at preev.com due to having to use decimal numbers less than 1 (often referred to as a Satoshi ). Would it not of been more prudent to develop a cryptocurrency coin with capped limit of say 3 trillion like Iota. Therefore wide spread adoption would result in a higher probability of users working with whole numbers. Just my opinion. We have recently seen that bitcoin is resistant to being shorted out of existence by the two major American financial bodies of the CME and CBOE, who recently introduced Bitcoin Futures to the wider world of the established financial sector in December 2017. Most commentators expected this to be the eventual doom for the fledgling world currency. My observations lead me to believe that this is not the case, investors generally know that an investment in bitcoin is likely to outperform an investment tied to the ever depreciating US dollar. However it has impeded the march of Bitcoins dazzling bull run, but that only served to fuel speculation in Bitcoins younger siblings the Alt coins. And the cryptocurrency market has in fact expanded several times since Wall Street’s introduction of Bitcoin to the futures market. The all-time high market cap reaching almost 830 Billion U.S dollars in January 2018 before losing more than half of that in a massive FUD (fear, uncertainty and doubt) induced sell off by February 6th. Still a 325million market cap could hardly be called a passing FAD, and most people that read the whitepaper about Bitcoins blockchain would agree that the technology is sound bringing transparency and deflationary solution to digital currencies. How can I speculate on Bitcoin and win? Lending, this is the process of lending your hard earned bitcoin to a volatility bot which trades cryptocurrencies for you. Please avoid at all cost from our own experiences the space is full of scammers. The only company that did not exit scam on our tests was USI Tech but there technical support is woeful and will only drive you up the wall. However as it is a passive High Yield investment plan /opportunity you will be tempted. So just to make it clear again don’t touch anything that ask you send your bitcoins over to their servers unless it’s a well-known crypto coin exchange. 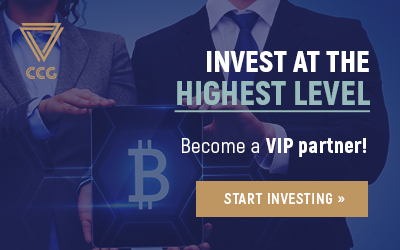 By far the easiest method is to invest in bitcoin or one of the popular alt coins that is to exchange your normal national currency typically referred to as ‘fiat’ at a cryptocurrency exchange. It can be any one of the myriad of Bitcoin clones and spin offs. They each CLAIM to have a unique selling point to justify their existence. Some are considered currency and some are considered platforms or tokens. Platforms and tokens are expected to have some utility use. The principal of investing is very easy you simply by the coins and hold it until some further point in the future when its value has gone up (commonly referred to as HODL). It’s a chance to get in early on blockchain technology projects that you feel will garner massive adoption in the future. Swing trading and day trading is the same process but on a shorter timescale. ICO hunting as I like to call it is the process of identifying organizations that offer sort of share in the success of the organization or project through initial coin offerings (ICO). Coins can be acquired for a discounted price before a general release to the public on an exchange. It requires research and technical trading abilities as well as time but is by far the most lucrative strategy. Overnight millionaires usually use this strategy as coin prices can 100x to 1000x on hype alone, be advised this is a high risk strategy and comes with all the stress associated with that level of risk. It’s mentioned here but we strongly advise against it. It’s a sure way to get burned the rouse usually starts with tales of high frequency Ai robots happily trading your Bitcoins for you outperforming the price of Bitcoin with a 360% pa interest payment payable on a daily basis. A lot of people are being scammed in this space including myself as it was presented in such a plausible way, the reality is in most cases there is no secret Ai Robot. The only company that may have that technology in the crypto space is USI Tech but as yet no one has actually seen it in operation. They appear to be the only ones paying dividends to investors however this is by far the highest risk endeavor you could do with your crypto.